The use of Synthetic Aperture Radar (SAR) data has become increasingly popular in recent years, offering professionals in a wide array of industries a measurable, analytical approach to getting information about an area or object of interest. SAR is a sophisticated data type, acquired from airborne and space borne platforms, and can produce two or three-dimensional datasets of surface areas. When combined and merged with spectral imagery, SAR provides the additional, critical layer of information you need. Now, the developers of ENVI offer the SARscape® Family of Modules, feature rich add-ons that allow you to easily read, process, analyze and output your SAR data, while giving you the option to integrate that information with your other geospatial data and tools. This unique data analysis capability takes your data from hard-to-interpret numbers to meaningful, contextual information. And, because the SARscape® Modules are integrated with ENVI, you have the added benefit of superior spectral analysis tools and functions in one package. 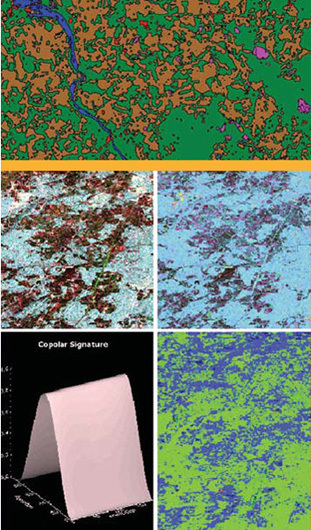 The SARscape Family of Modules for ENVI offers comprehensive, SAR-specific tools, combined with the superior spectral image processing capabilities of ENVI. The family consists of two core modules: The SARscape Basic Module and the SARscape Interferometry Module. In addition, as a SARscape Basic Module user, you have the choice of two accessory modules: The Focusing Module, which allows you to extend focusing capabilities to RADARSAT-1, ENVISAT ASAR, and ALOS PALSAR, and The Gamma and Gaussian Filter Module, which includes SAR-specific filters and algorithms based on Gamma/Gaussian-distributed scene models. There are also two accessory modules for the InSAR/DInSAR Module. 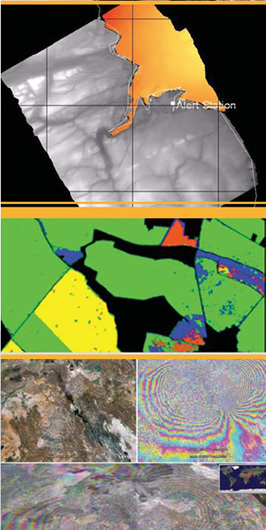 The ScanSAR Interferometry Module allows you to generate interferograms over large areas. The SAR Module allows you to process polarimetric data, such as ALOS PALSAR, RADARSAT-2, and TerraSAR-X-1, and polarimetric interferometric SAR data, such as ALOS PALSAR.